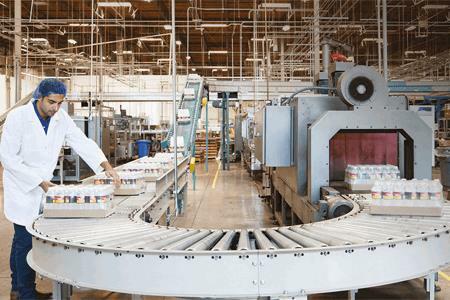 Line Performance is a comprehensive OEE and monitoring software solution for Food & Beverage/CPG companies, providing the means to visualize and control packaging, optimize output and better manage quality. Tight margins, global competition, brand protection. How do you as a food or beverage processor take advantage of new technologies while maintaining critical operating and financial conditions? AVEVA has the answer: a comprehensive Line Performance management solution. A turnkey offering providing you with the means to visualize and control packaging, optimize output and better manage quality. It’s your first step in ensuring a sustainable, high performance operation. Based on the industry-leading Wonderware MES/Performance, the Line Performance Suite is a turnkey OEE (Overall Equipment Effectiveness) and monitoring package, ensuring you of a professionally delivered, expertly designed system with integrated reporting and analysis. The Line Performance Suite brings Operations Managers and decision-makers timely, accurate and relevant information to ensure peak performance and meet operational Key Performance Indicators. MES Solutions provide users with an “end-to-end” operations platform for excellence. Increase operational efficiencies, quality, compliance and line performance. Model-driven operations management enforces business processes, enables collaboration and standardizes best practices. Facilitate corporate-wide standardization of practices, allowing multi-site operations management.